The geology of the Earth's surface is continually being shaped by volcanic activity. This natural process begins deep beneath the crust, when superheated magma (a liquid rock material made up of minerals and gases) rises toward the surface and erupts through cracks or vents. 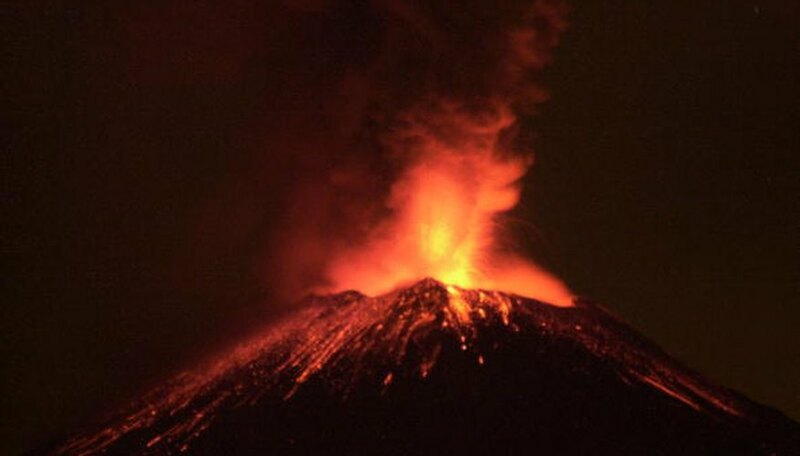 The molten rock released during an eruption is referred to as lava, which rapidly cools and crystallizes to form igneous rocks. Lava rocks are a type of igneous rock known as basalt, which is composed of various mineral and chemical elements. The composition of a lava rock is a function of its mineral structure and chemical arrangement. 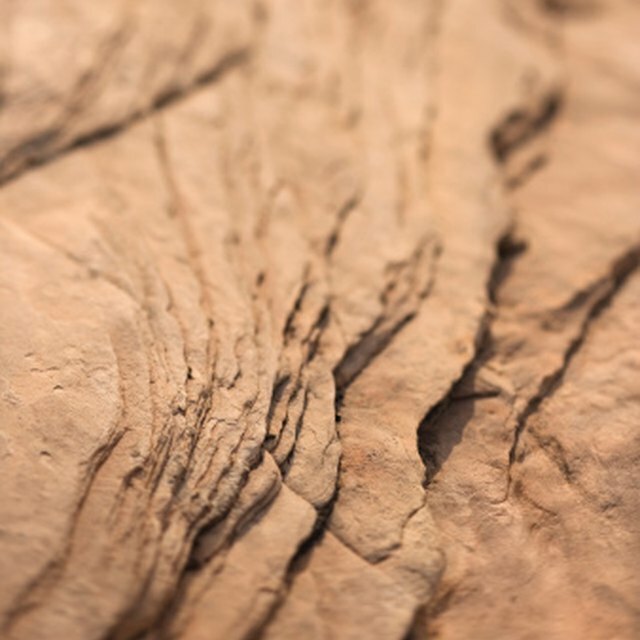 One factor determining an igneous rock's composition is its classification as either a felsic or mafic rock. Felsic rocks are dominated by silicon and aluminum minerals, whereas mafic rocks are dominated by magnesium and iron minerals. 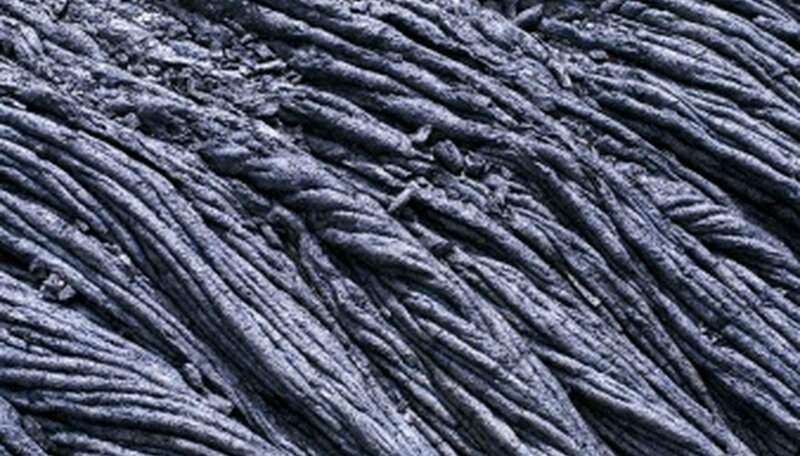 Lava rocks, generally dark gray, black or red in color, are classified as mafic rocks and are normally formed from fast-flowing lava with a quick rate of cooling, or solidification. Lava rocks are composed of high amounts of iron and magnesium elements (collectively referred to as the ferromagnesian group) as well as calcium. Due to their chemical composition, basalts are the most abundant rock type of the ocean floor and Earth's crust, and are the primary rock layer of the Hawaiian Islands. These rocks contain a relatively low amount of silicon and aluminum elements. The ferromagnesian elements in lava and magma have a rapid cooling rate, resulting in the fine-grain appearance of basalts. A variety of minerals contribute to the composition of lava rocks. The most common minerals are pyroxine, olivine, amphibole and plagioclase feldspar, although low quantities of hornblende, biotite mica, magnetite and quartz are occasionally present. 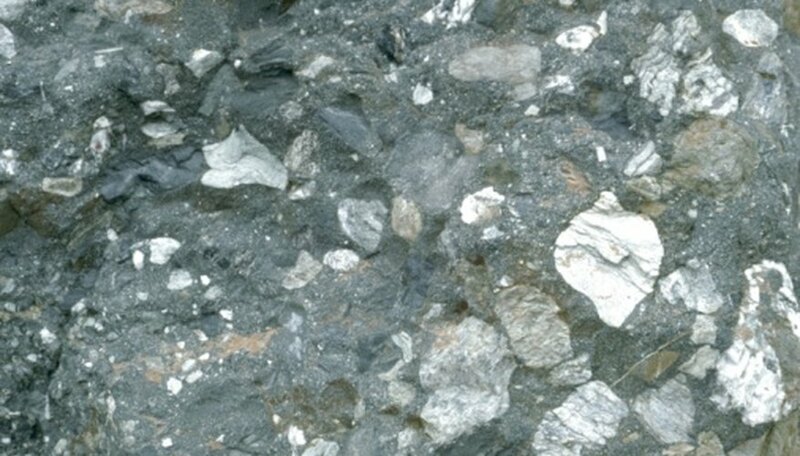 Gabbro, a mafic intrusive igneous rock which solidifies beneath the Earth's crust, has the same mineral composition as basalt. At high temperatures, the mafic minerals cool and crystallize very quickly. As a result, some lava rocks have a thin layer of glass particles on their surface. 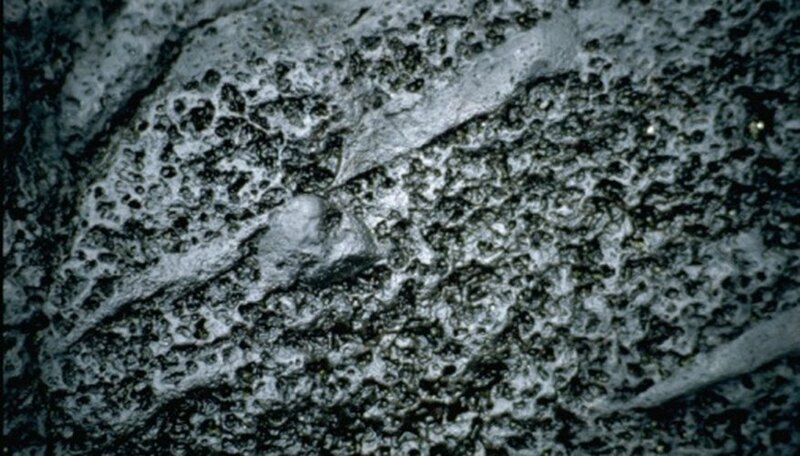 Lava rocks are very porous, meaning there are numerous empty spaces on their surface for liquids or gases to flow through. 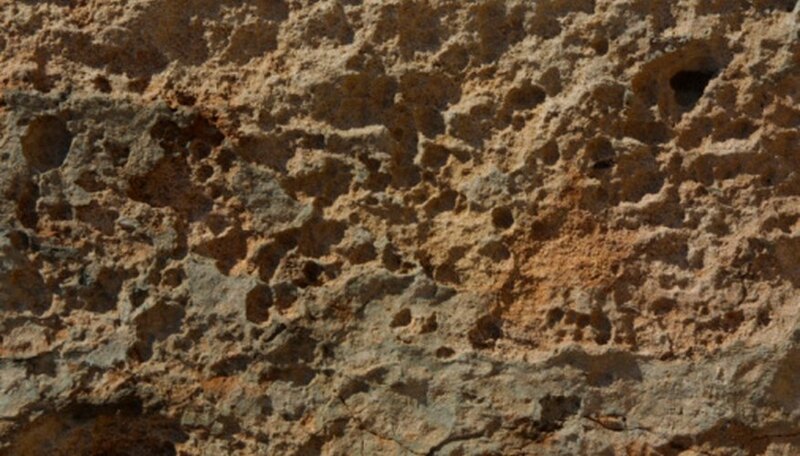 The porosity is due to the presence of gas bubbles in the lava or magma flow, which form holes on the surface of basalts during the cooling process. These holes or cavities are known as vesicles. As a result of their porosity, basalts generally have a low density. Their vesicular nature causes lava rocks to have a spongelike appearance, making them popular items for landscaping and rock gardens. Bethany Horne has been writing professionally since 2010. She has authored technical manuals for the Alberta Association of Registry Agencies and outdoor, horticulture and lifestyle articles for the "Sherwood Park News." Horne holds a Bachelor of Arts in English from the University of Alberta. Horne, Bethany. "What Is the Composition of a Lava Rock?" Sciencing, https://sciencing.com/composition-lava-rock-8067279.html. 24 April 2017.